Dallas Hiram DUI School | DUI, Risk Reduction, Evaluations, ASAM Treatment Classes, Shoplifting & Theft Prevention classes for Dallas, Hiram, Powder Springs, Rockmart, Acworth, Cartersville, Paulding County, Polk County, Bartow County. 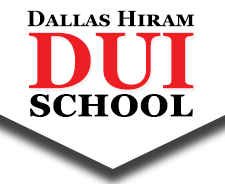 Dallas Hiram DUI School is a State licensed DUI program, offering 20-hour Risk Reduction classes, Drug and Alcohol Evaluations, ASAM Treatment Classes and many other court or probation-ordered classes or counseling. Certificates accepted Statewide. Out of State Programs available, please ask a staff member. Serving: Paulding, Cobb, Douglas, Bartow and Polk Counties. Cities served: Dallas, Hiram, Yorkville, Rockmart, Cartersville, Powder Springs, Acworth, Douglasville. Register for a 20-Hour DUI / Risk Reduction Class. Make an Appointment for a Drug and Alcohol or Clinical Evaluation. Enroll in a Weekly ASAM Treatment class for Court or Probation Requirements. Complete a Shoplifting and Theft Prevention Class for Court, Probation, or Pre-trial Intervention Program.